Refurbishing a London home is an exciting and rewarding way of updating your property to include the latest designs and ideas. Living in London is unique from any other area in the country because of the hustle and bustle of everyday life here. Homes in London a very special as they were built to last. The designs and layouts of most local properties are now unfortunately outdated and in many cases a Property Refurbishment is required. There are many Property Refurbishment Specialists in London but there is none that can compare to Builders GB. Builders GB is one of London’s busiest construction companies that specialises in every area of Building and Construction. Our understanding of London Homes is years ahead of most other building companies. At Builders GB we believe that experience is what makes a good Refurbishment Project. 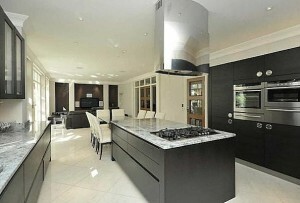 We help you with everything needed to successfully refurbish your home in London. Our designers are the key to a beautiful style of living which can incorporate every individuals style and taste. We work with you and share our ideas and knowledge with you so that you can achieve the style, space and the right design from your house. We plan every stage of Property Refurbishment in the right order so that you can enjoy your newly updated home faster and easier. Builders GB is very experienced in every type and style of property refurbishment. When you use our services we make sure that our knowledge and experience is integrated within the project. Customer satisfaction is our number one priority and we are well known all over London for providing a Property Refurbishment service packed with knowledge and ideas. Which type of Property Refurbishment in London? Whichever type Property Refurbishment Project you require Builders GB can help. We cover every service including total Property Renovation and Updating. We also install new Kitchens and Bathrooms. Our staff are careful and trained to the highest possible levels in all types of construction.